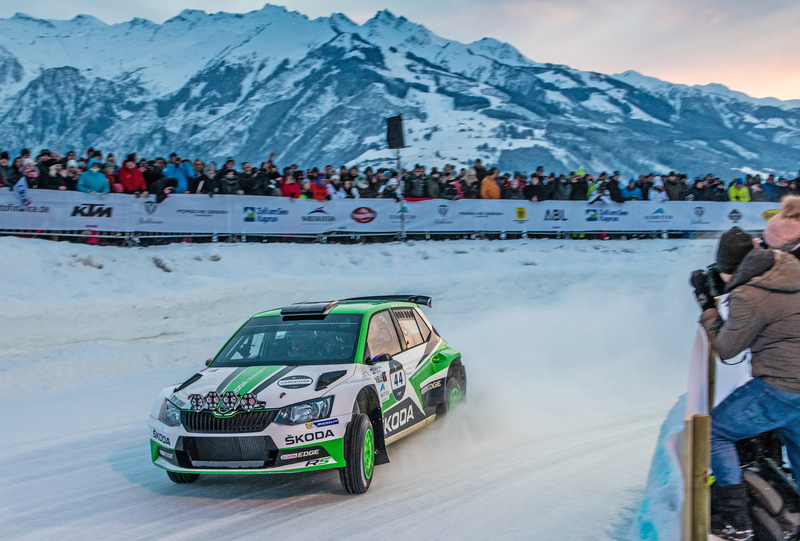 Zell am See, 20 January 2019 – At the GP Ice Race in Zell am See (19 and 20 January 2019) ŠKODA factory driver Jan Kopecký was in a class of his own. On day one of the event, powered his ŠKODA FABIA R5 to class win ahead of Volkswagen driver Romain Dumas. 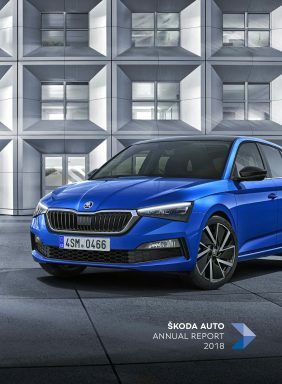 Sunday saw a double ŠKODA victory. Kopecký won the day two race and the overall competition ahead of Austrian BRR junior Julian Wagner, both driving a ŠKODA FABIA R5. Seven times German Rally Champion Matthias Kahle entertained the thousands of spectators on the ice track in Zell am See/Austria with a 140 horse power, rear wheel driven ŠKODA 130 RS. “It was really amazing to compete here with my ŠKODA FABIA R5 on ice and snow. Even in the car I could feel the enthusiasm of the fans,” said reigning WRC 2 champion Jan Kopecký. On a demonstration run on Saturday, he was supported by a very special co-driver. Bernhard Maier, Chairman of the Board of Management ŠKODA Auto, enjoyed the ride from the passenger seat of the ŠKODA FABIA R5. Promising Austrian 23 year old junior Julian Wagner, driving a ŠKODA FABIA R5 from Austrian team BRR Baumschlager Rallye&Racing, impressed with his speed on ice and snow already two weeks ago by winning the first round of the national series, the Jaennerrallye. In Zell am See, he finished the final heat behind works driver Jan Kopecký. “We never expected such a tremendous success, when we decided to re-invent the legendary Ice race in Zell am See after a long slumber of 45 years with a modern interpretation. The competition of the modern R5 cars was really a highlight for our fans,” emphasized Ferdinand Porsche, together with Vinzenz Greger founder of the GP Ice Race in Zell am See. 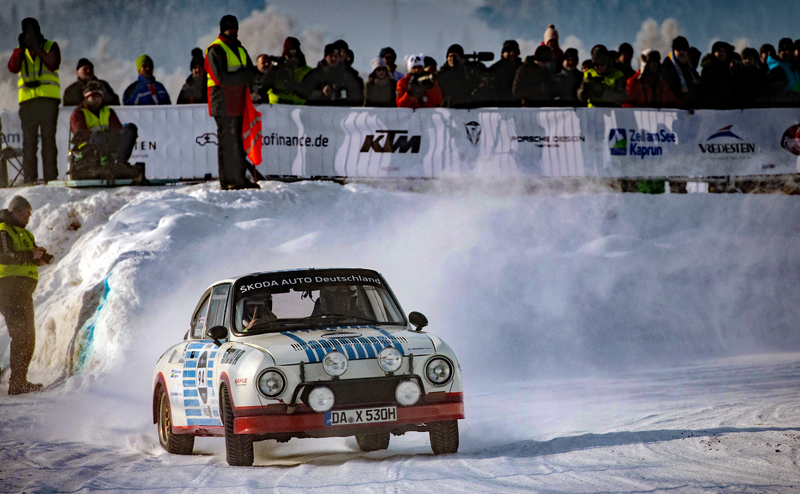 The GP Ice Race featured modern and historic race- and rally cars form all decades of motorsport history. Seven times German Rally Champion Matthias Kahle was one of the stars amongst the group of historic race cars, driving a lightweight ŠKODA 130 RS, featuring rear wheel drive and 140 horse power, mostly sideways around the ice track in Zell am See. Jan Kopecký (CZE), ŠKODA FABIA R5, 1.24.400 Min. Julian Wagner (AUT), ŠKODA FABIA R5, +1.145 sec. Romain Dumas (FRA), Volkswagen Polo GTI R5, +1.945 sec. Jürgen Knobloch (AUT), ŠKODA FABIA R5, +3.859 sec. Two ŠKODA drivers, which took part at the GP Ice Race, represented 16 titles. ŠKODA works driver Jan Kopecký won the Czech Rally Championship six times plus titles in the European Rally Championship (ERC), the Asian Pacific Rally Championship (APRC) and the WRC 2 category of the FIA World Rally Championship. Matthias Kahle won the German Rally Champion seven times.